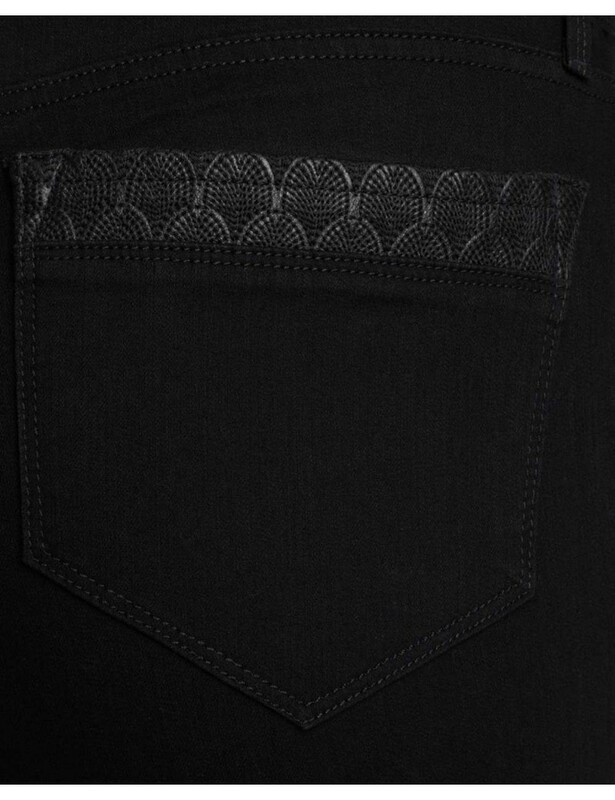 You just can't go wrong with black denim. Not Your Daughters Jeans Sheri Skinny Leg Jeans with Decorative Leather Trim on Back Pockets not only ultra comfortable but also incredibly flattering. 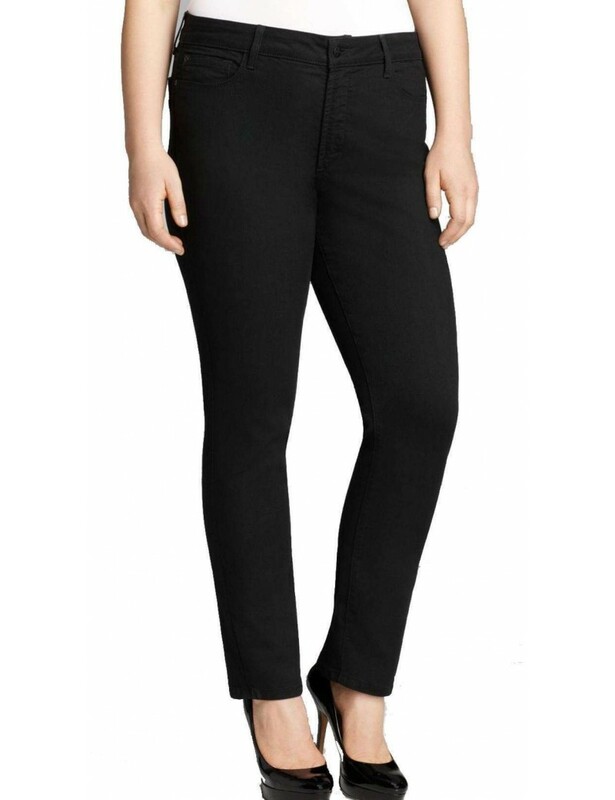 Features five-pocket styling, zip-fly, button closure with a slightly shorter inseam that looks great with flats, heels, or boots. 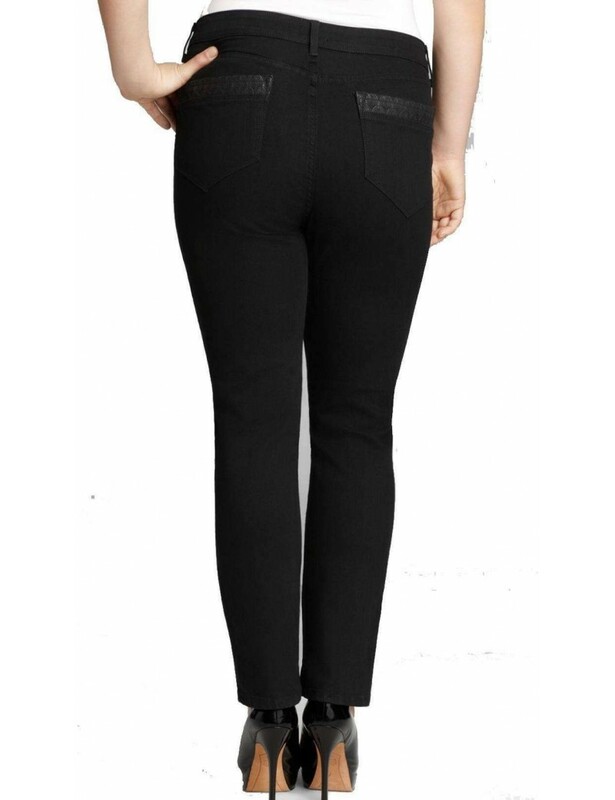 Sheri skinny leg jeans with decorative leather trim on back pockets are not only ultra comfortable but also incredibly flattering.